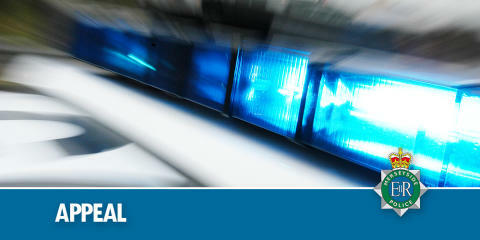 An investigation is currently underway following reports that shots were fired at a male in Marian Square, Netherton, this evening (Friday, 12 April 2019). Officers attended at the scene following reports that a firearm had been discharged by two males on a motorbike at about 7.30pm. It is believed that the offenders fired the weapon at a male, who ran off. At this stage the identity of the alleged victim is unknown, and there is nothing to suggest that he was injured during the incident. Crime Scene Investigators are carrying out forensic examinations at the scene and house-to-house enquiries are ongoing in the local area. Detective Inspector Laura Lamping, said: “Enquiries are in the very early stages. I would like to take this opportunity to urge the alleged victim to come forward to speak to us and to appeal to anyone who was in Marian Square and witnessed the incident to contact us, as they may have information which is vital to our investigation. “I would also appeal to anyone who was driving around the area who may have dash cam footage to contact us. “At this stage of our inquiries the motive for the attack and the identity of the victim is unknown.